Set out to discover the Mediterranean aboard one of our yachts for an unforgettable charter. Charter a yacht and set off to discover the Mediterranean Sea for a unique experience and unforgettable sensations. For a romantic getaway, or a cruise with your family or between friends, we offer you the possibility to enjoy an excursion at sea aboard a quality yacht that will offer you comfort and a break from it all. Our teams will do their best to respond to your needs and advise you to choose among our Mediterranean charter yachts, as well as for your route at sea. 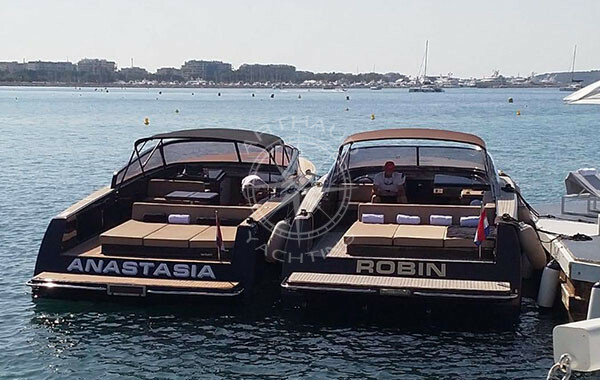 Don’t wait to discover the reasons for choosing us for the charter of your boat or yacht and allow us to advise you for the organisation of your getaway along the Mediterranean coast. Do you want to set out to discover the Mediterranean? Chartering a yacht is the best way to discover the ‘Big Blue’ and its surroundings. Enjoy an exceptional setting and maximum comfort to observe the unforgettable scenery. The Mediterranean borders the entire coastline of the south of France in the Gulf of Lion, with a surface area of 2,510,000 sq km. It possesses magnificent lagoons and seabeds. A yacht excursion is the ideal way to discover the flora and fauna that contribute to this natural treasure that offers breath-taking landscapes. 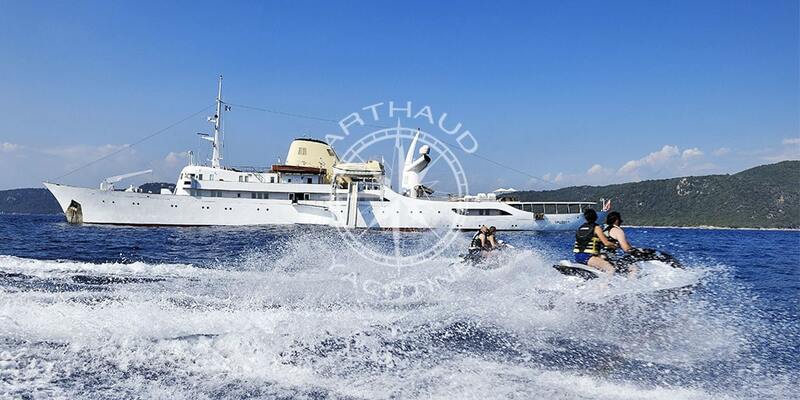 Whether with your family or among friends, chartering a yacht allows you to set out with a group for a Mediterranean excursion and to share a moment of relaxation and discovery. Once on board, you will fully enjoy your excursion at sea to relax, immerse yourself in a book, chat or simply admire the landscapes that unfold before your eyes. The comfort aboard the yacht allows you to stay for a day or more and to make the most of your getaway, without worrying about the logistics. Don’t hesitate to plan what you need for a meal or an aperitif to make this excursion a shared moment of conviviality and pleasure. Why not take advantage of your excursion at sea to try out a new water activity or sport? Numerous activities are proposed on the Mediterranean for young and old alike. Do you want to discover the seabed? Don’t hesitate to bring along your swimsuits and wetsuits for some scuba diving to discover the lagoons. Are you more interested in thrills? A jet ski ride, stand-up paddle boarding or kite surfing will satisfy the athletes among you. Relatively calm, the Mediterranean is an ideal sea for a day aboard one of our yachts for a charter. You can enjoy a pleasant and relatively calm crossing to relax and enjoy the unique panoramas. Just let yourself be gently rocked by the waves and smell the sea breeze. A crossing can be a dream opportunity for some sunbathing and farniente under the southern sun. 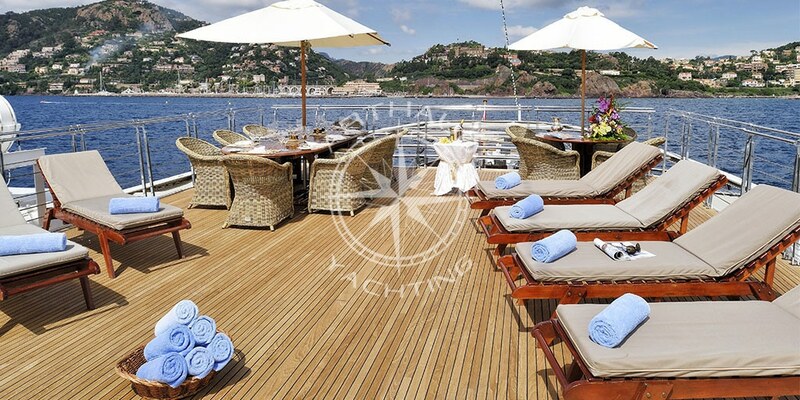 Yacht excursions are ideal to enjoy the mild and pleasant climate that is characteristic of the Mediterranean region. Once on board, you can enjoy the sun and relatively warm temperatures that make for pleasant days that are ideal for outdoor activities. 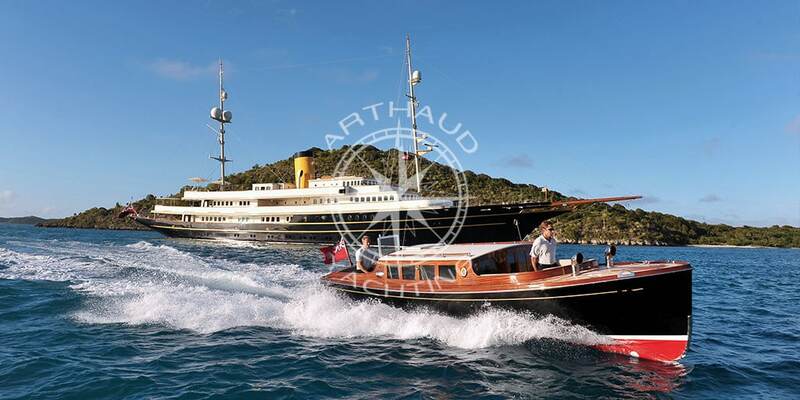 There is nothing like it for your summer holidays or for a relaxing weekend at sea year round. Whether you are a lover of sea journeys or intimate discoveries of little coves, a yacht is the ideal way to respond to all your desires to get away from it all. Once at sea, several destinations and routes are available to you and which you can plan ahead. Once at sea, you are free to go ashore to visit the coastal towns that have made the reputation of the Mediterranean, like Nice or Antibes. But you can also choose to set out to discover the wild and intimate charm of hidden coves and calanques, like those in Marseille and Cassis. We offer you a quality charter service. Our charter yachts are high-end vessels that offer both comfort and safety. Depending on your needs, we will guide you to choose the size and capacity of the yacht you charter. You will also be free to choose the duration of your getaway, for one or several days, as well as your itinerary. This freedom allows you to set sail and then adjust your programme according to your wishes during your charter. 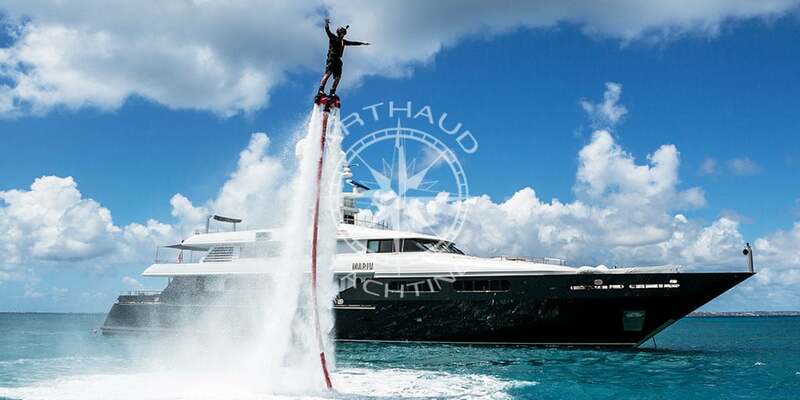 In order for your experience to be successful, our teams do their best to meet your needs and make your yacht charter an unforgettable experience. 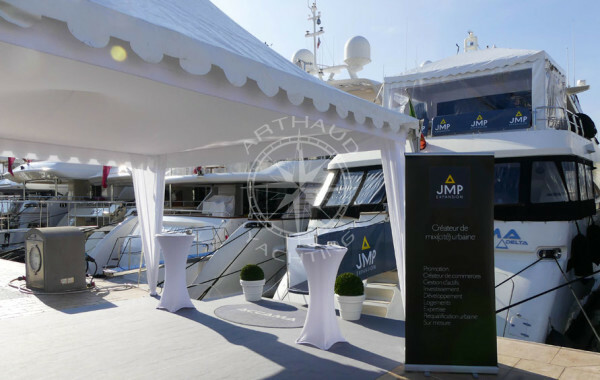 Our know-how and expertise in the field give us perfect knowledge of the different yachts to provide you with follow-up and personalised advice. We strive to provide you with all the information you will need to make your Mediterranean getaway go smoothly and we remain available to you throughout your experience. 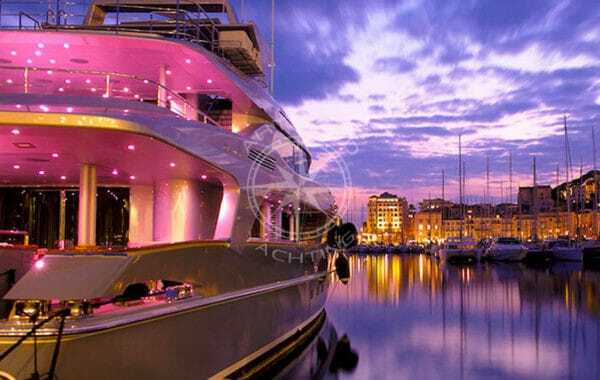 Have you made your decision and chosen to charter a yacht for a Mediterranean cruise? You can leave from several locations, either on the Blue Coast from Marseille, Cassis or Toulon, or on the French Riviera from Nice, Cannes, or Antibes. All ports can be points of departure or arrival. 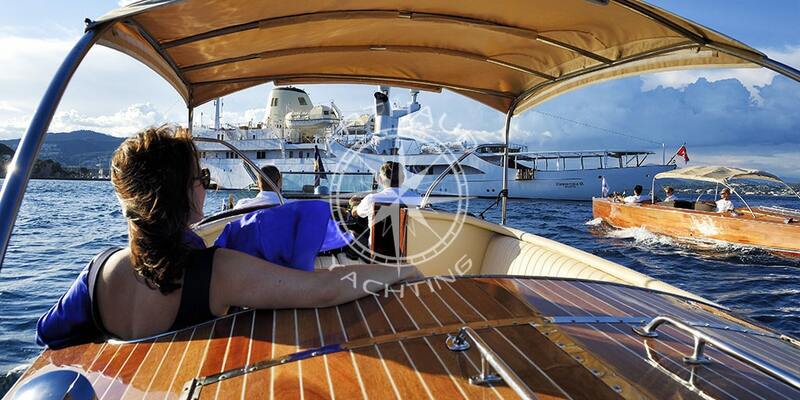 At each, we offer you a personalised yacht charter service to best respond to your needs and wishes for a getaway. 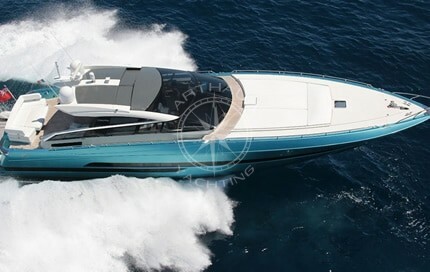 Your partner for your charter in the Mediterranean.